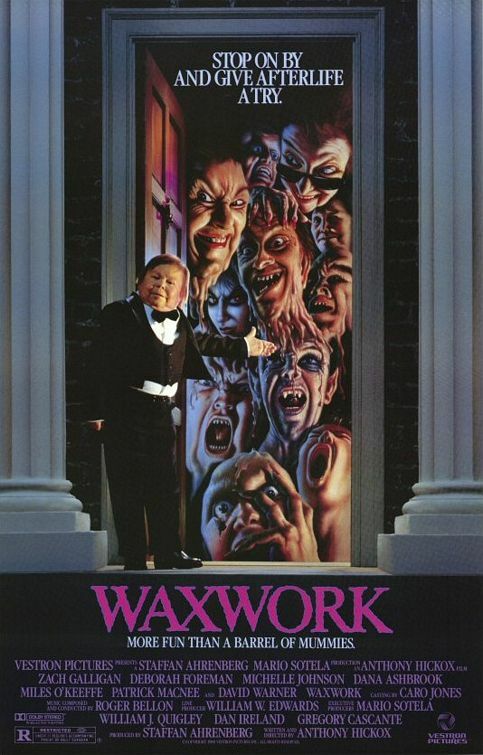 Who doesn’t love a good movie about the horrors of a wax museum? Maybe Todd. At least, Waxwork didn’t rub him as well as it did Craig. But as an artifact of 80’s filmmaking and the lost art of practical monster effects, it survives to deliver to today’s audience a bit of fun and a lot of truly terrible dialogue. This entry was posted in and tagged comedy, Horror, podcast, waxwork. Bookmark the permalink.